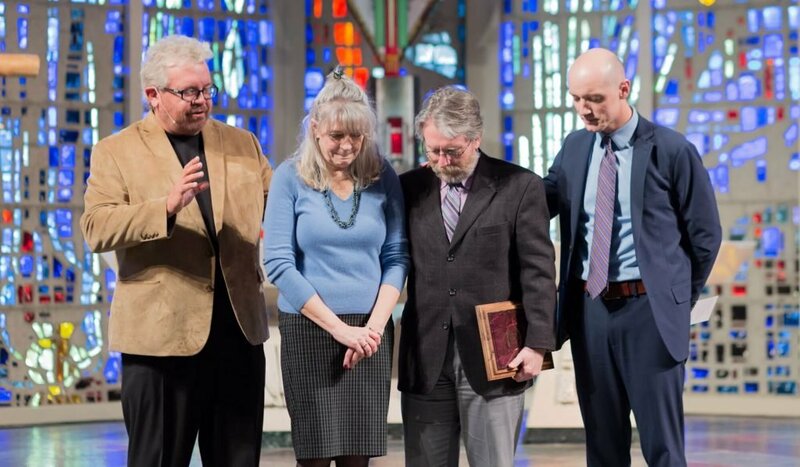 On Thursday, April 4, Davis was recognized in CUAA’s Daily Chapel service surrounded by family, friends, and the Concordia community for his service to the university and to the Church. The Outstanding Alumnus Award honors graduates of Concordia for reflecting in their lives and careers the values upon which the university was founded. Typically presented at the May commencement ceremony, the award was arranged to be presented to Davis a few weeks in advance due to scheduling conflicts. 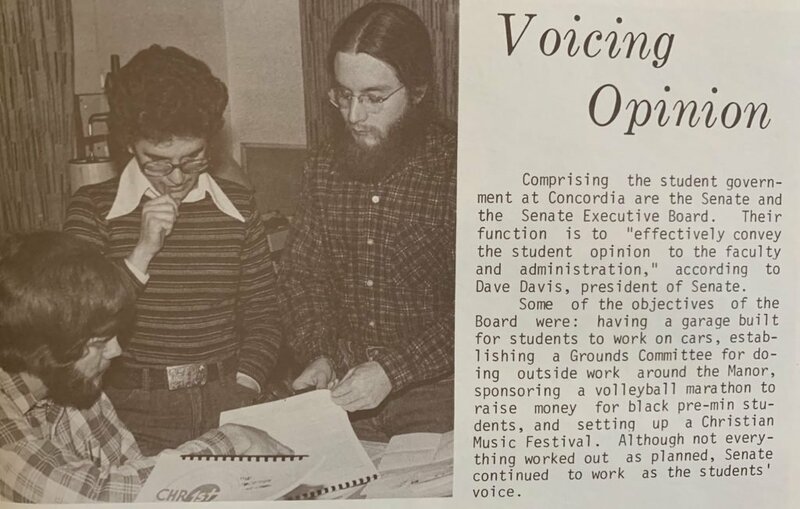 As a graduate of Concordia’s second ever four-year class in 1979, Davis earned majors in both Greek and Humanities and a minor in Earth Science. Known as “D. Davis” as a students, Davis served as president of the Student Senate and was awarded an athletic letter for soccer. Davis also met his wife and fellow alum, Sallie (Mertz) Davis (’79) at Concordia. 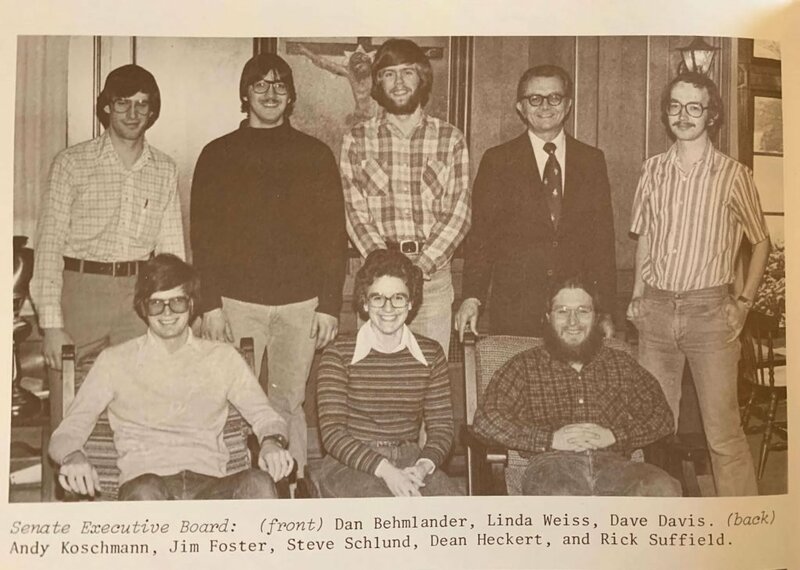 Upon graduation, Davis studied at Concordia Seminary, St. Louis and went on to serve in congregations across the state of Michigan including Spring Lake, Trenton, Grand Rapids, and his current call in Haslett. He served the Michigan District as Chair of the Mission Board and later the Board of Directors. He was also a Regional Vice President for four terms. 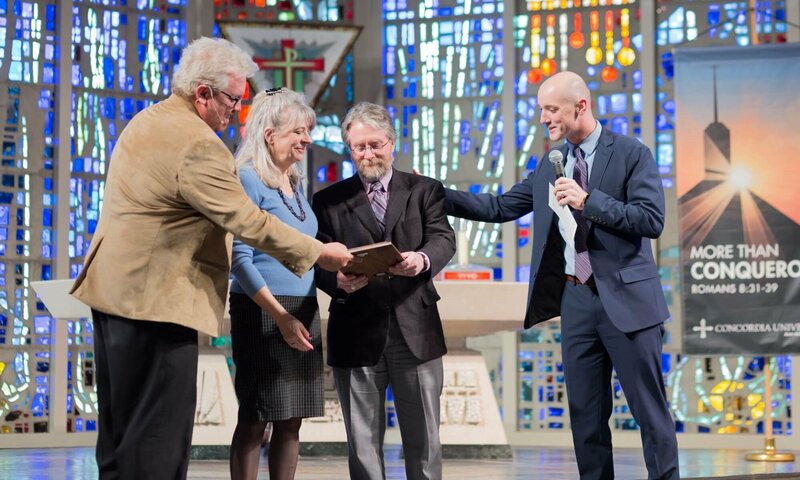 Pastor Davis’ special interests in ministry, both within the congregations and through his service to the District, were accenting reading through the Bible annually, developing new Gospel-proclaiming ministries and promoting congregational life in center city locations. Davis and his family are lifelong supporters of Concordia. They return regularly for special events and for many years, he brought his confirmation class for an introductory tour of the campus. He and his extended family established a scholarship for education students in memory of his parents Robert and Anne Davis. Dave and Sallie raised four daughters. Together the family enjoys living, serving and vacationing throughout the state of Michigan.